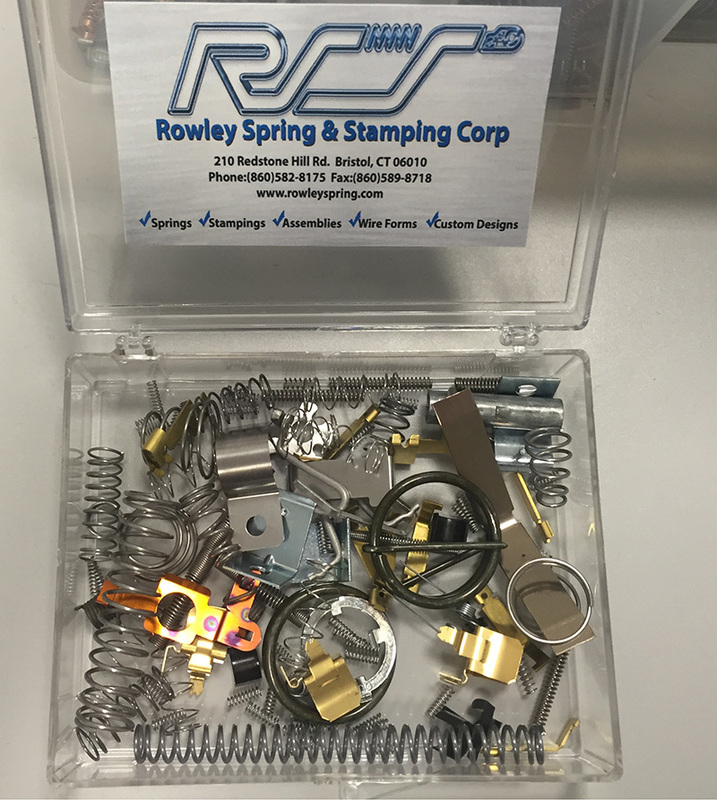 Sample Kit | Rowley Spring and Stamping Corp. Fill out the following form and we will ship you an assortment of our products! We want you to see the high quality of our products. Take a closer inspection of an assortment of springs and stampings from right off the machines.